The littles in this family are rather fond of mangoes, as am I. We go through them by the dozen, in smoothies, popsicles, chia pudding, fruit salad or just chunks of mango alone. But--big but--those things are a hassle to peel! It always takes me a couple of minutes & I end up with juice everywhere. Not to mention losing a few millimetres of fruit if I hurry with peeling. So when I saw some YouTube videos promising a really quick new way to peel mangoes, I had to try it out. I'm skeptical of a lot of those 'life hack' videos & have had limited success with some of their ideas. But this one really works! 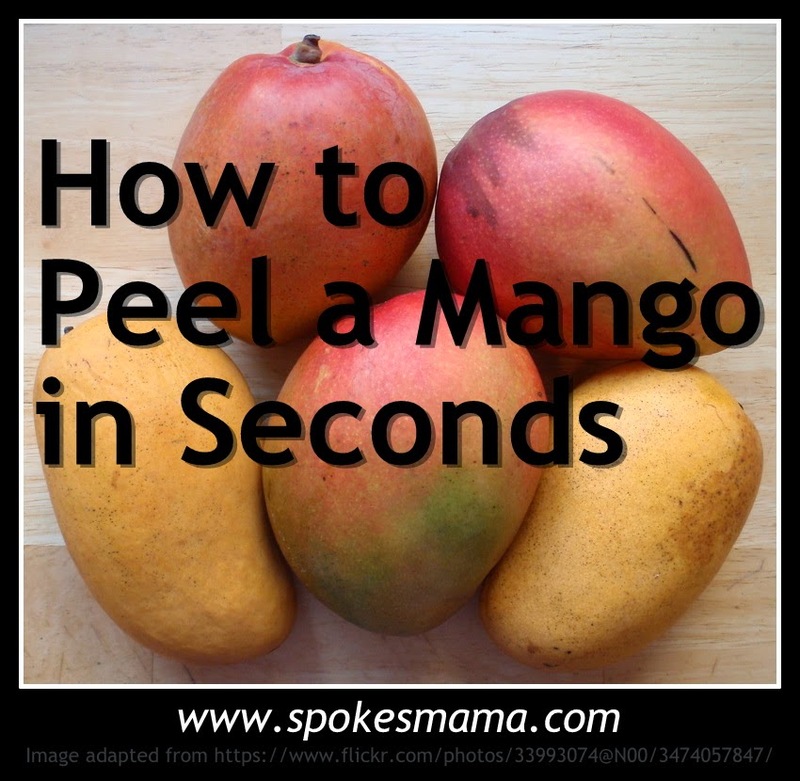 Have you ever tried this mango peeling technique before? Let me know how it worked for you!